John Key’s grasp of his own asset sales policy is being revealed to be shakier by the day. He doesn’t know how it would hurt the government books. He flips his position on water rights each day. He doesn’t know how much a looters’ bonus of free shares would cost. And, yesterday, he didn’t even realise that $56m is budgeted to cover sharebrokers’ fees for the looters. 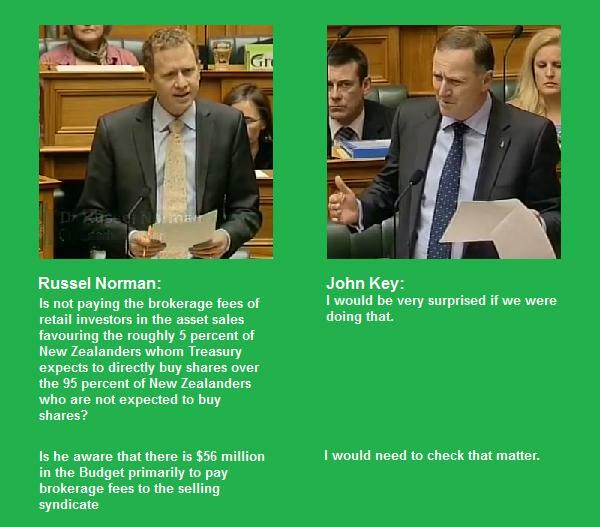 I don’t know if you’ve seen these little Facebook infographics of Parliamentary exchanges going around. 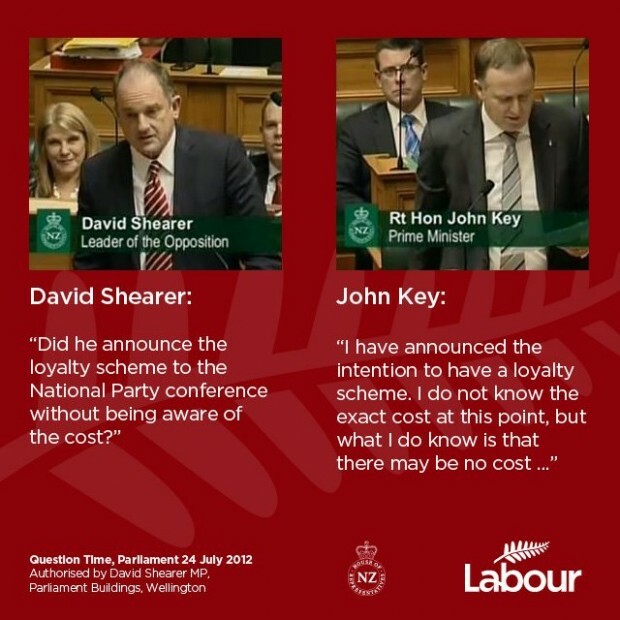 This one from Tuesday’s Shearer/Key exchange made by Labour is pretty telling. And, sure enough, there it is in the Budget: $56m for ‘direct sales costs’ of asset sales (p34 of the PDF). Treasury explains it “relates to the direct selling costs of shares in each company, most of which relates to the fees paid to the selling syndicate”. What’s worse: that asset sales are already costing us a fortune, that Key doesn’t know what that cost is, or that he doesn’t care and is determined to flog off our assets anyway? Yesterday Blinglish launched a new Kiwi Bond offering 2.75% yet these fools want to sell an asset making 18% instead. What a bunch of fiscally illiterate morons. No wonder the economy is tanking with these idiots in charge. They’re not idiots. It’s obvious to us and so it’s obvious to them thus they must be doing it for other reasons. this is the ‘rational’ thing for them to do. If you get tax relief because government is harvesting profits from a fully owned company, you have a rational reason to use them and not Mighty River. What I don’t get is how Key doesn’t understand the cost savings from Mondayisation. there are two few long weekends, and offices pay more for hours worked, etc, etc. Keeping the number of long weekends year on year is actually a cost saving to businesses. Key is either hideously stupid or has had to but a stinky mess of policy decisions that should erk the hell out of him intellectually. Draco, they are idiots. Neo-liberal ideological idiots, but idiots nonetheless. That’s true of a lot of the NACT supporters but not all of them and certainly not the ones at the top. By holding on to the belief that they’re all just idiots then you justify their actions as honest mistakes removing the possibility that they’re actually doing these things with a purpose and that they’re using neo-liberalism as a cover. Let me clarify. Selling a solid state enterprise that is paying a good return for very likely a lowish price is idiocy. Anyone thinking the idea is good is actually an idiot. Anyone who publicly tries to convice voters that the idea is good is acting like an idiot. Idiot idea acted on by idiots acting idiotically. It doesn’t mean that the idiots are acting without purpose however. Neo-liberal purpose in many instances. 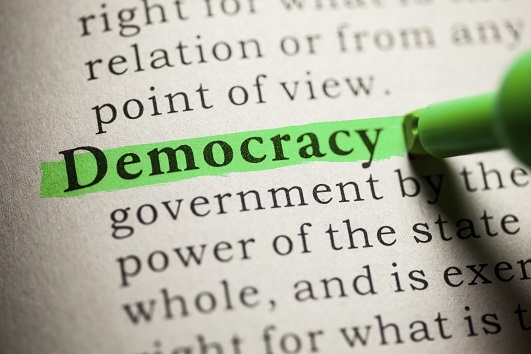 The neo-liberal project has a definite set of purposes. Unquestionably following neo-liberal policy prescriptions does however show idiocy. So, neo-liberal idiots slavishly implementing a project that reached its use by date in 2008. But some few rich people will benefit. As that is the purpose (benefiting rich people) and that is what the people at the top are achieving it can’t be said that they’re idiots. The purpose that they’re working for is corrupt. If we make the very few richest people at the top even richer, that money will trickle down to the rest of us. Agreed that the asset sales and the ideology behind it is to benefit the few over the many. It helps trickle wealth upward into the pockets of those who have, from those who have not. You and I both agree that from a rational standpoint the sale doesn’t make sense. It is lunacy, ie, idiotic. Those who believe neo-liberalism actually delivers for the many, that wealth trickles down, are myopic. If they buy into the economic alchemy they are deluded and fail to see the lessons of 2008. They are idiots in that respect. Those who see the intent of the neo-liberal project as it actually is, are societal pocket liners. Number 1 is most important, ‘I’m alright jack’. Neo-liberalism serves their pocket lining just fine. Asset sales serves their purpose well, lining the pockets of the few. That doesn’t however negate the point that those who champion asset sales, due either to ignorance or a pocket lining intent, are championing a ludicrous action. From our perspective, a clear view that neo-liberalism has failed to meet its obligations, what they are advocating is idiocy, follows a nonsensical line of reasoning, and they are idiots for advocating it. Idiot may not denote a simpleton, but in this case I think it clearly denotes someone pursuing an idiotic action. Are they written question, so there is time to find out the answers? So how come he was surprised? It was a supplementary question. But he said yesterday there was no money to pay for the extended parental leave bill……. Porkies? Not really…it’s just that their true priorities are on display. Time & again. they will give you the pollie smooth-talk, but their actions tell the story. Shonkey knows exactly what’s going on IMO. Plausible deniability works best when you keep running the ‘nothing to do with me,ask Bill etc ‘ lines and have a role (PM) that which makes that believable. I don’t buy for one minute that a merchant banker doesn’t know the cost of the deal and as such the impact on their bonus for brokering it. Memo to John Key ..
OOPs! The Muppets are trying it on again! Little do they know I’m a well paid Goldman Sachs Muppet myself! 50 mil dinero is heading their way now,the financial elite society is triumphs again. The Nats are effective: I’ve complained so much against these assets sales and it hasn’t moved then an inch I’ve gone blue in the face. Or in other words they won’t listen to reason and me and you can just drop dead or go blue as a dead member like themselves. Would that $56 million guarantee that those receiving fees to be part of the direct selling syndicate would not also charge brokerage to purchasers? – in a “free market” surely it would be normal for any such syndicate members to charge both sides for “costs” of a transaction if they can. By not allowing Kiwisaver investors to benefit from the bonus shares there is clearly discrimination against a group of investors that Tony Ryall accepts are everyday New Zealanders – why can their investments not benefit from the bonus shares? Its lie on lie. Here is English from august 2011 clearly stating the government was considering a loyalty scheme. By government i assume he was including the pm. So the pm to say he has no idea what it might cost is either lying or english lied last year when he said they were considering it. that is not an either or question. by the time we find the truth about one lie they have told 20 more. A pretty little girl named Suzy was standing on the pavement in front of her home. Next to her was a basket containing a number of tiny creatures; in her hand was a sign announcing FREE KITTENS.. Suddenly a line of big cars pulled up beside her. Out of the lead car stepped a grinning man. “Hi there little girl, I’m John Key, the leader of the National Party, what do you have in the basket?” he asked. “National supporters,” answered Suzy with a smile. Key was delighted. As soon as he returned to his car, he called his PR chief and told him about the little girl and the kittens. Recognizing the perfect photo op, the two of them agreed that he should return the next day; and in front of the assembled media, have the girl talk about her discerning kittens. 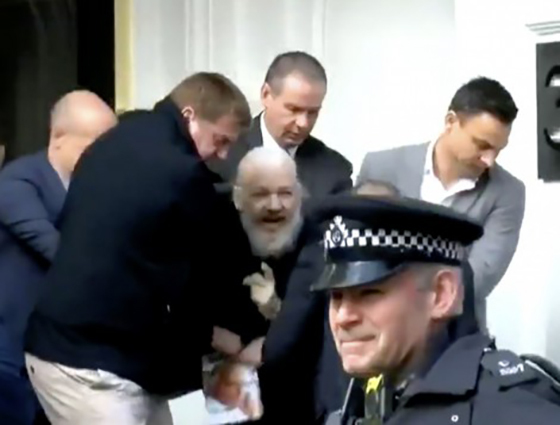 So the next day, Suzy was again standing on the pavement with her basket of “FREE KITTENS,” when another motorcade pulled up, this time followed by vans from BBC, ABC, CNN, Sky News, TVNZ, TV3, and News-Talk ZB. Cameras and audio equipment were quickly set up, then Key got out of his limo and walked over to little Suzy. I didn’t no mumbling was an official language in NZ! But Block of wood smith lets Shonkey away with it every time. The Gouging by Goldman Sachs NZ’s Con man Key continues !